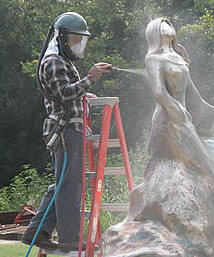 The Dodson Studios difference is in the attention to detail in every sculpture. 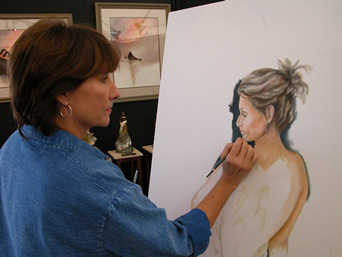 Their combined skills, acquired over 28 years of experience, provide the knowledge and attention to detail that is the hallmark of their museum quality pieces. 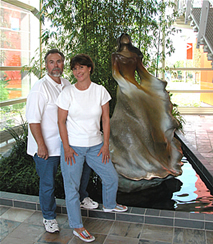 However, the Dodson's in-depth experience and knowledge in all facets of foundry work enables them to check each piece and know that they are providing the highest quality sculptures to their clients. 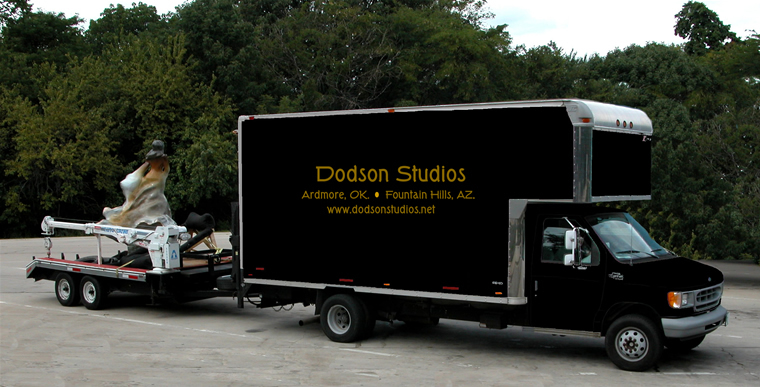 The result of Dodson Studios pursuit of quality is the pleasure of seeing their work featured in public and private collections all over the world. Their sculptures range in size from small to monumental, but regardless of size, the quality and detail are still paramount. Each bronze sculpture is finished with a unique patina developed by Jim over many years of work and research. This patina has become the trademark of their work. Detailed photographs of Jim and Judy's work can be viewed in the Dodson Studios Gallery.